Inspiring peace through technology via education, art, music, and dance. WPTTO’s annual benefit is on Sunday May 5th! 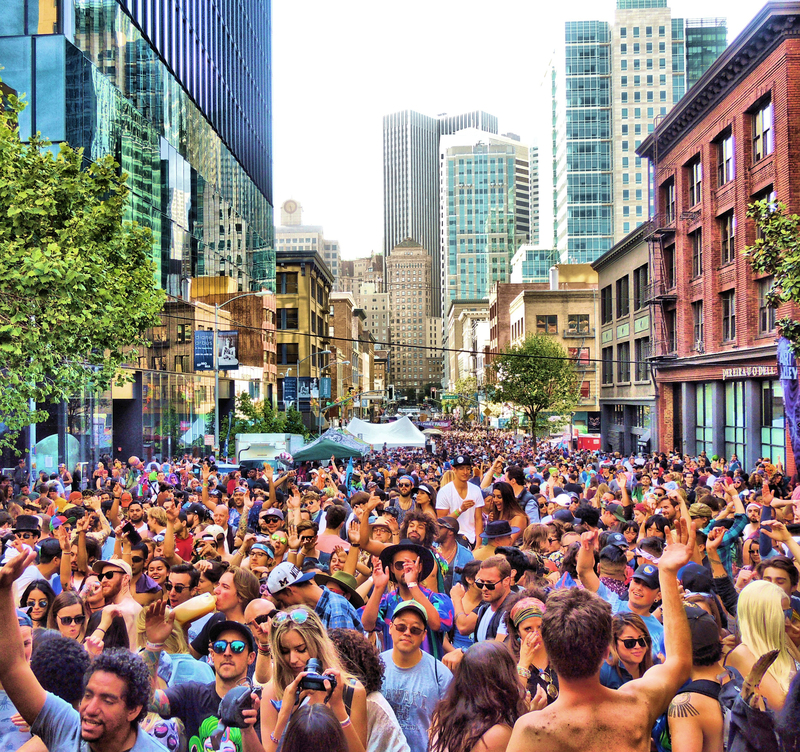 The How Weird Street Faire is our experiment in creating peace, and a fundraiser for the WPTTO. The faire takes place in downtown San Francisco, and attracts thousands of people in colorful costumes from around the world. The faire enables a very diverse community to find common ground and make connections. Come see the 20th annual faire on Sunday May 5, 2019. WPTTO’s primary education project is the Immersive Learning Center/The ILC. Our newest project is the Immersive Learning Center (or ILC) located in downtown Vallejo, CA. The ILC is an educational after-school program serving the most under-served school district in California. 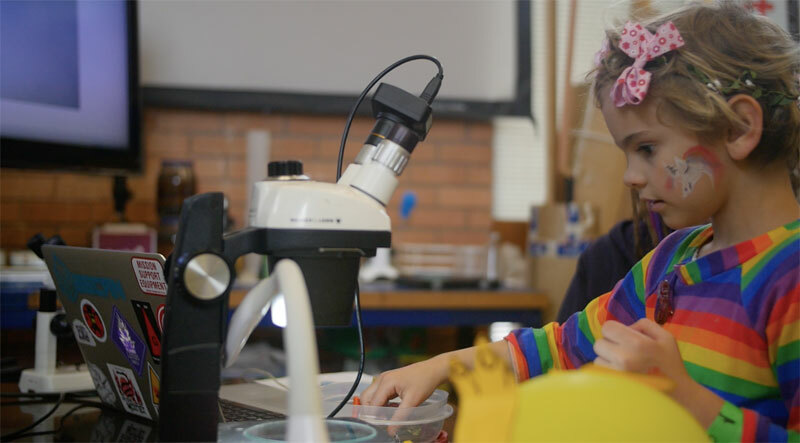 Students from the area are taught a range of STEAM subjects, and have access to the latest technologies. The students are taught how to collaborate and work together on projects, and network with other students from around the world. 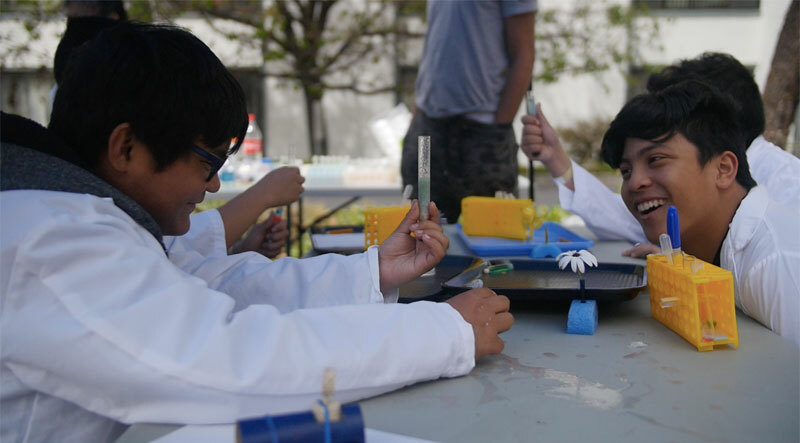 On Saturday, April 28th 2018, the WPTTO sponsored Immersive Learning Center (or ILC), hosted its 2nd Science Faire of the spring at its location in downtown Vallejo. Students and parents had a fun and educational day learning about electric circuits, virtual reality, looking at bugs and flowers under the microscopes, learning how to program mini-robots, and engaging in a variety of STEAM (Science, Technology, Engineering, Art, and Math) activities. There is growing excitement and interest in the STEAM workshops that the ILC will be offering this coming summer, including the introduction of its ‘seed to table’ permaculture garden, where kids will be introduced to Ag-Tech (agricultural technology). Finally, WPTTO is working on its ‘AI (Artificial Intelligence) for Kids’ class that starts this coming Fall. The importance of addressing the ‘digital divide’ issues, part of WPTTO’s charter since its founding in the year 2000, remains a core part of its charter, and is delivering on this mission with the ILC project in Vallejo. Our dream of travelling the world to create positive, interactive spaces for humans to experience the weird and unusual, and thereby grow their understanding and empathy. The tour would feature the latest technologies in a demo pavilion, as well as cutting-edge art and music. Our mission is to inspire peace through the benevolent uses of technology, and to raise human consciousness to the level of peace and understanding. Our future plans include building the Mixed Reality How Weird Street Faire and WPTTO virtual/meta classroom in Mixed Reality. How do we allow more people to have a shared experience together in a public space? One answer is the concept of the Mixed Reality cloud, which enables people to share a high-precision and high-fidelity Augmented Reality view together in public. Combining cloud computing with Augmented Reality + Virtual Reality = Mixed Reality over 5G (high speed mobile broadband + low latency) means a transformation of the internet as we know it, into a spatially enhanced aggregate that will become the heart of shared physical and virtual interaction.